All eyes are, of course, on this weekend’s race in Atlanta, the first full-length event for the new aerodynamic package. The low-downforce package is out, replaced by a high-drag, low-horsepower model. NASCAR scrapped a high-downforce high power package a few years ago, hoping that slower speeds would enable more passing. It didn’t. This year’s version of the Cup car will be slower but the racing closer. The big question is whether drivers will learn to make moves that will allow them to pass. And what’s difficult is that NASCAR isn’t just up against its own rules. The sanctioning body is up against the laws of physics, and the very shapes of cars these days, stock or kinda-sorta-supposed-to-look-like-stock, are not like their predecessors of 20 or 30 years ago. On the highway, that’s great. It’s more efficient and saves money at the gas pump. The problem is when racecars are made to resemble those cars, even though they’re not the clones they once had to be, they’re also more efficient. More efficient = aerodynamically dependent. So perhaps the better question for Atlanta will be who gets it figured out and whether that will bring some new players to the table in terms of contending for wins. That would be a very good thing for a sport that saw relatively few winners last year, especially in the first half of the season. Expect a different breed of racing this weekend, but don’t expect it to look like that a month from now, or this summer. The racing will evolve as teams learn how the new package affects their drivers’ styles. TV ratings were up for both the Advance Auto Parts Clash and the Daytona 500. That’s a budding trend that could continue this weekend as fans want to get a glimpse of this package. It could be the most important race Atlanta has hosted since it held the season finale years ago. Denny Hamlin put questions of whether he’s still “got it” to rest on Sunday, winning the Daytona 500. Both Hamlin and Jimmie Johnson faced a winless 2018 season, the first of both their careers. 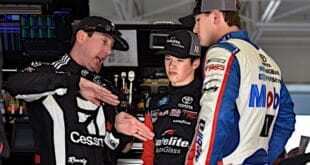 Hamlin’s streak has ended, but what of Johnson? 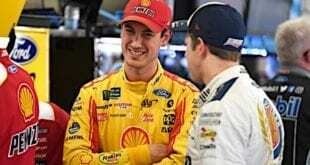 If he doesn’t bust his slump sooner (and the new package doesn’t really play to his strength with the lower power), can the seven-time champion win at a track that has served as his personal playground? Johnson is the winningest active driver at the paperclip, with nine grandfather clocks counting the hours in his hallways. But he struggled even there the last couple of years, not cracking the top 10 since his win in Oct. 2016. If he can’t turn it around at Martinsville or Dover this year, it’s time to really question if the cars have passed him by. The same thing has happened to great drivers before, and it’s a danger for any aging competitor. Johnson is the oldest regular driver in the Cup field now, just beating Kevin Harvick by a couple of months. Harvick had a resurgence with last year’s package. Can Johnson put together a winning season this year? Tracks like Martinsville may provide the best window to see that answer clearly. Talladega will be the first track in three decades without restrictor plates. The tapered spacer, already in use at other tracks, will be used instead of the plates. The aero package is also different than what fans saw at Daytona last weekend. If it works as advertised, the spacer does offer one advantage over the plate: throttle response. With a restrictor plate, cars are hampered in traffic. They can’t crack the throttle to avoid trouble, because they will almost certainly be in trouble as they lose momentum they can’t regain quickly enough to get away from something. The spacer should give a better response. What will it look like? That’s still the big question. 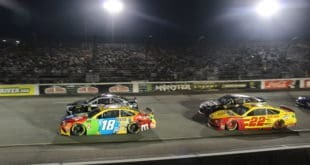 The package is supposed to break up the one huge pack of cars that superspeedway racing has become, but allowing a train of cars to catch another one if they draft efficiently. Hopefully, that will set up something we haven’t seen on the superspeedways in a while: a disadvantage to being the leader in the final laps. There was a time when the leader was a bit of a sitting duck. Get too big of a lead and a draft of a few cars would run you down in no time, but too small of one, and they could make a big slingshot move as well. More recently, the leader has been able to protect the lead much of the time. The changes on the intermediate tracks will be obvious from the start. The superspeedway package is still a big question mark. Will NASCAR try something new again this year? The All-Star event has been used as a test for possible rules changes in the last few years. It’s a good time to do that with no points on the line while still simulating race conditions, something test sessions don’t offer. It also falls at the right time of year, where there have been enough races on intermediate tracks (Atlanta, Fontana, Las Vegas, Texas and Kansas will all be in the books by then) to have an idea of how this year’s package is working. 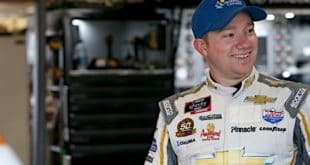 If NASCAR isn’t happy with what the racing looks like, it’s a good possibility it will introduce something for the All-Star Race. Based on recent changes, not much is off the table. Getting the cars off the track would be a good starting point, but there are other options to be had. Whatever NASCAR does for the race, keep an eye on it. If the race is well-received, it’s likely that you’ll see something in the same vein in points races next season. Pocono is the last big test for the new track-specific package, with the exception of Indianapolis. It’s a unique track, and the package is tailored for it, so don’t expect it to race like the 1.5-mile tracks or even like Michigan or Fontana. It never really has raced the same, of course, but will this year’s versions put on a better show for fans? At other tracks, the aero package means drivers can keep the throttle open, or close to it, all the way around the track. At Pocono, with its three distinct turns, that may not be the case, especially through the tight Turn 1 and the already-notorious Tunnel Turn. Will this create more passing zones? That’s the main objective, of course. Another question will be how important handling will become. Again, those three unique turns have always posed a challenge, and whether this package makes them more challenging or less so will make a difference in the racing. If nothing else, the new package adds some questions to the first half of the season that will be worth learning the answers to. NASCAR has been more open than ever to change, so look for more down the road if this year doesn’t show the results they want. There are still more questions than answers, but NASCAR is forcing everyone from teams to fans to ask them repeatedly this year. That in itself is something to keep an eye on. Next Did You Notice? 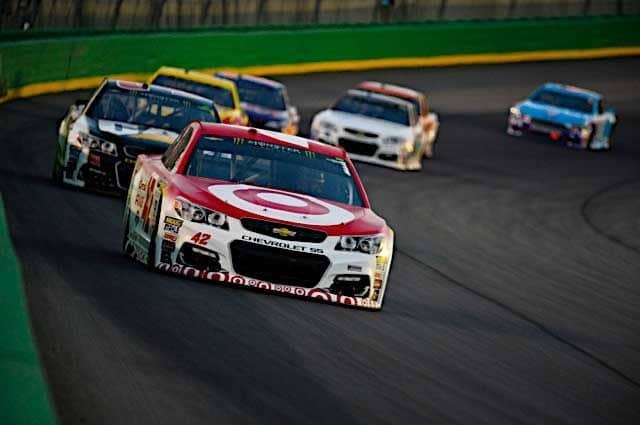 : How Buy-A-Ride NASCAR Wins Are Perceived? I don’t think ANYBODY puts to rest “they still got it question” at a plate race.